Of course, during this time of years approaching Christmas and with all of the treacherous weather, moving home may seem not like the ideal situation. But for others, winter is the best time to move out and settle into a new property just in time for the Christmas period, but if you want to do this, then it’s essential that you sell your home quickly. When selling your property it can be for a number of reasons, you may not want to, but your landlady or landlord may need the property back after a certain amount of time if you’re renting. Your contract might of expired or maybe you want to downsize, upgrade or just fancy a change of scenery. And although all of these scenarios are common, they can sometimes leave you and your family in a frantic panic to pack everything up and sell your home quickly. As sometimes when you’re forced to move it may not fit your schedule, and more often than not it can collide with other events or occasions that you have. 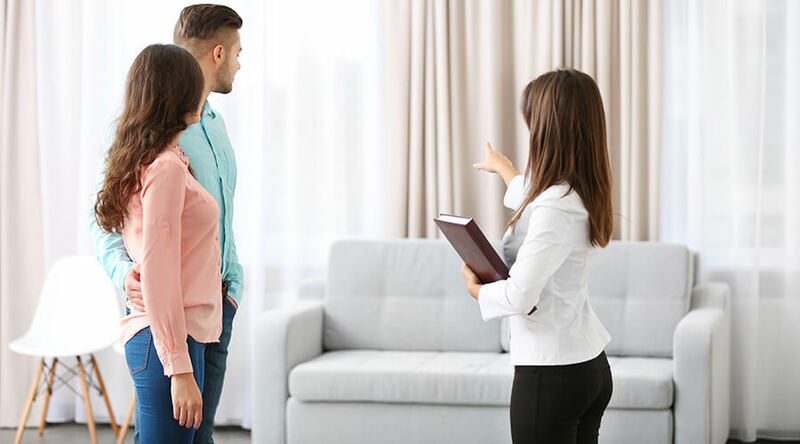 So if you are to ever find yourself in this situation, regardless of whether it is causing you problems the likelihood is that you will want to move out and sell your home as quickly as possible to allow you and your family have time to settle into your new property. But selling your home isn’t always easy, there are plenty of hurdles that prolong this process and make it a lot more difficult for you. Which is why we have come up with the best tips and tricks that you can use to sell your home as fast and efficiently as possible. So if you’re moving home soon – keep reading! May not be effective towards the Christmas period. Christmas approaching nobody has the funds to fork out for a new property. To much hassle for buyers to move out, it will be tough to sell your home during this season. Hectic and summer holidays may stall transactions. If wishing to sell in the summer, you should do this as soon as you can at the beginning. Your garden is in spring bloom another appealing factor of your home. So although it is possible to sell your home at any time of the year, and some people will actually be property hunting during the worst months of home buying those are the best to allow you to optimise the length of time selling your home. If you were offering a product or service for your business, you would want to spread the word and show consumers as well as rival companies how fantastic your product is. You should do this with your home, emphasise the amazing features of your home and how you invested in home conversions Milton Keynes and that you’ve had landscaping done in your garden and that your home has just had an electrical inspection and is on the same road as a middle school or train station. Although it may not seem like it all of these tiny bonuses that come alongside your home can make a massive difference, someone choosing between two houses may pick yours merely because it’s in a more remote area, although it’s slightly more expensive it has the features that they’re specifically looking for. So if you’re selling on home portals light Rightmove or OnTheMarketmake sure that you bold the main selling points of your home to ensure that potential buyers see them – it could be the key selling point of selling your home! If you’re afraid to get your hands dirty, then you might need a helping hand with this one, the key to selling your home is the way that it is presented. The best way to ensure that your home meets its full potential is to degut all of the clutter by taking the time to do a complete garage, loft and entire home declutter! Start this off by disassociating yourself from the property, many estate agents and professional home buyers say that personal touches to your home such as photos and personal items can deter potential buyers as the whole point of home viewing is to picture you and your family in this property, not the previous owners! After this give all worn out walls a fresh lick of paint or remove and wallpapering and paint the walls a simple yet effective beige or cream. Although a bright, vibrant wallpapered home may be trendy amongst you, it isn’t everybody’s cup of tea, and if you’re looking to sell your home, you should aim to make everything neutral and light to make it suitable for all types of home buyers. Then you should set your aim on the DIY aspect of your home; this isn’t everybody’s strong point so in certain circumstances you may have to bring in builders Newport Pagnell to give you an extra set of helping hands. Repair small issues within your home that could deter off potential buyers, these aren’t always noticeable, but if discovered they can make a huge difference to the final verdict of whether somebody wants to buy your home or not. A great example of this would be the old fashioned hide your damp under a picture frame trick, this worked in the beginning, and home buyers were fooled by the hidden damp until it was too late. But nowadays this is a standard home checking procedure, so it’s a lot harder to get away with hiding home faults – so you’re better off fixing them. Fill up any holes in the walls, oil your door hinges and wax wooden floors, these simple yet effective DIY tasks can make your home look more attractive as well as in certain circumstances increase the value. So use these tips and emphasise your homes potential, a lot of homeowners put their homes on the market for less than what they’re worth. And with slight improvements and the repairs of issues within their home, they have the potential to sell their property for more. We hope that this article was helpful. If it was, then why not share on social media?